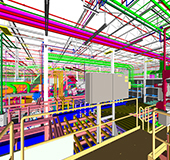 LAS VEGAS, Nevada, October 26, 2016 – SSOE Group (www.ssoe.com), a global project delivery firm for architecture, engineering, and construction management, announced today that Senior VDC Technical Leader, Mark LaBell Jr. and VDC / BIM Section Manager Tony Paupert have been selected to present at this year’s Autodesk University. The event will be held November 15 – 17, 2016 at the Venetian Hotel in Las Vegas, Nevada. LaBell and Paupert will co-present, “Reducing Waste Through Reality Capture, Utilizing Scan Data– Not Scan to BIM”. 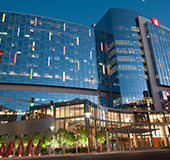 This session is an instructional demonstration that will highlight how SSOE has changed its delivery process on retrofit projects to reduce waste in engineering and construction as a standard of care for its clients. The key point of this entire process is reliance on the laser scan and all team members working with the data in ReCap software, Navisworks software, and the modeling platform (Revit software, AutoCAD Plant 3D software, AutoCAD Civil 3D software, or AutoCAD software). LaBell and Paupert will highlight practical examples on how to utilize laser scans as the sole source of truth and reference into design software. Additionally, the pair will review SSOE’s unique process in which they remove all demolition objects from the scan model to coordinate with the proposed scope of work. This presentation will take place Tuesday, November 15th at 3:00 p.m.
“Reality-Capture Best-Practices Kumbaya—Ask the Experts Roundtable” will give participants the ability to have in-depth discussions with industry experts who’ve been in the trenches on hundreds of reality-capture jobs, including static LiDAR (light detection and ranging), drones, and photogrammetry. The session will also focus on methods for determining whether to procure services or move them in-house, staffing requirements for project execution, and critical elements to better ensure successful usage of reality capture data. Chad Studer, Owner / President of ADSK Solutions will co-present this roundtable with LaBell on Tuesday, November 15th at 4:45 p.m.
Mark LaBell has a passion and unparalleled dedication for the practice of VDC methods in the AEC industry. 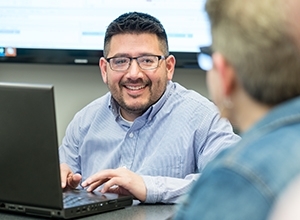 He has served as a user and customization expert in 3D BIM/CAD software for over 15 years and provides support and training for users to educate them on how to maintain a sound and practical user environment. 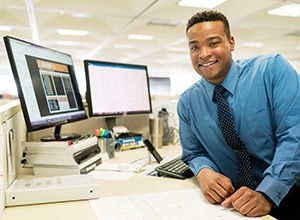 Always looking for the next best thing, whether process improvement, software, or hardware when it comes to practical design and user experience, LaBell has learned that there is never a “one-sized fits all” approach no matter what the client requirements dictate. 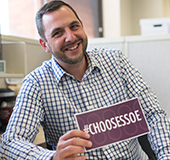 He has spearheaded and hosted SSOE’s annual hackathon, which is a business planning process that enables all non-principal-level staff to participate in business planning and new business opportunities. Over the past 18 months, LaBell has presented at numerous conferences, including Autodesk University, BIMForum, SPAR International, PSMJ AEC Thrive Summit, BIM Integration Congress, and Midwest University. Tony Paupert is an Autodesk Revit Certified Professional with 20 years’ experience in the industry, 16 of those with SSOE. 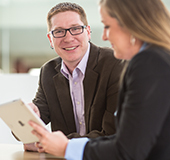 In his day-to-day role, he provides best practices and methods to internal project teams. Leveraging optimized Point Cloud data within Revit and other platforms is his constant objective. Tony also supports and mentors Project Coordinators and BIM Champions with challenges and complicated project setup, as well as coaches teammates on new practices and methods. He is part of an ongoing collaborative effort to produce workflows and processes that make working between multi-platforms possible, ensuring efficient / high quality deliverables. SSOE uses this methodology for their Revit projects and has proven successful in sharing workload with SSOE project teams worldwide. The Autodesk University annual conference offers a forum for design professionals around the world to participate in educational sessions, product demonstrations, and networking. Attendees can engage in collaborative problem solving, idea sharing, and build new professional relationships. 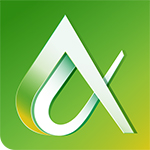 With more than 10,000 attendees annually, Autodesk University is the largest single gathering of Autodesk customers and resellers in the world.